Australian’s love a ‘fixer-upper’, evident with the popularity of renovation projects across the country. Some renovate to update their own homes, while others purchase older properties at value and modernise them as an investment. Whatever the reason, there are certain renovations that provide the best chance possible at rewarding your work with profit. Updating or replacing the kitchen is one of the best renovations you can do for profit. The kitchen is seen as the heart of a home and a clean modern area with nice appliances is sure to captivate potential buyers and increase value. Professionals can install a basic custom kitchen with all plumbing, electrical and tiling for as little at $10,000. This can add enormous value to a property with the increase sometimes as much as $50,000 to $60,000. Many modern homes have open plan kitchen/dining and living spaces in contrast to older dark small kitchens. Achieving this may require the removal of walls and/or brightening areas with windows that provide an abundance of light, with options such as timber and aluminium sliding and awning windows ideal for this situation. Updating or adding bathrooms is another way to increase desirability and value alike. The average number of bathrooms in new homes is now 2.6 thanks to the popularity of ensuites and powder rooms. This is being reflected in renovation projects with homes that previously had only one central bathroom gaining an additional second bathroom. Furthermore, the emphasis on modern, stylish and clean bathrooms makes updating them a necessity for old out-dated properties. Modern bathroom colour schemes tend to be light and metallic with whites, chromes and coppers all popular. 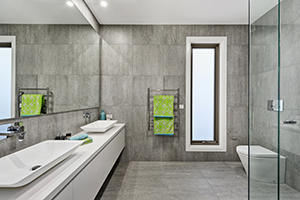 Awning, sliding and louvre windows offer ideal light with privacy options such as obscure glass and panels, making them perfect for bathroom renovations. Options of aluminium and timber with various colours ensure there is a perfect solution to suit any application. Speaking of colour, painting is a fantastic way to revitalise an older home and breathe life back into it. Trends tend to change rather quickly and keeping up with a modern colour pallet ensures maximum appeal and buyer expectation. Paint is considered one of the most powerful renovation tools as it can instantly invigorate any part of the home. Southern Star aluminium windows come in a variety of powder coat colours while Canterbury timber windows can be stained or painted as desired. This ensures the perfect blend to any home’s paint scheme with an always-modern feel. Painting is also a relatively easy task for those who prefer DIY and a typically affordable cost for those who prefer to utilise professionals. There are even services by colour experts who can assist with choosing the entire scheme for your home. First impressions are vital in real estate, especially when renovating with resale in mind. Improvements and alterations that add to street appeal are extremely beneficial by providing an enticing introduction to potential buyers. This can be achieved in several ways including landscaping, external colours, cladding and garage. Keeping up with modern trends can assist you with choices that ensure a modern appealing look. The front door is also an important element of street appeal. This is an affordable way to add wow factor and welcome people into the home. The combination of external windows and doors dramatically affect your homes facade and create appeal. Small details are another opportunity to impress with items such as lawns and gardens, plants, fences and mail boxes all able to be updated for little cost and effort with great results. 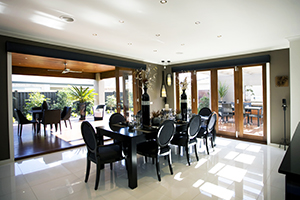 Without a doubt, one of the most popular trends currently in Australian property is indoor/outdoor space. Potential buyers almost expect a fully functional and stylish under cover alfresco area. The trend sees the humble patio of years past now replaced with an all weather additional room. This space promotes lifestyle and enables buyers to imagine themselves living in the home and enjoying the zone. The money spent on a well-designed alfresco area basically pays for itself when the property is up for sale. The value and lifestyle presented far outweigh the initial cost of this renovation. Aluminium or timber stacking sliding doors and bifold doors are the perfect way to grandly and seamlessly transition from indoor to outdoor, while a timber bifold window with extended servery transforms an alfresco area to the ultimate entertainment space. Consider improving your homes energy efficiency by replacing standard windows with double glazed windows. 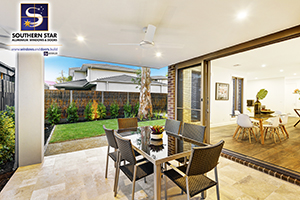 Not only do they assist with keeping the home cool in summer, and warm in winter, but they also offer additional safety by having superior structure which ensures they are more solid and less prone to cracking. 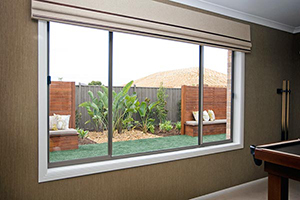 All Southern Star Group windows can be provided with double glazed glass. As a bonus, the savings on electrical bills are a useful selling point. Renovate with a broad audience in mind, try not to get too emotionally attached and don’t add too many personal touches. You want the space to appeal to as many audience members as possible. Budget and consistency are two important elements when renovating. 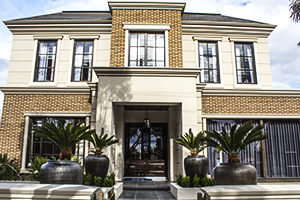 It is important to set and remember the budget, as well as ensuring a consistent style and value across the home. The most effective renovations result in buyers not having to do any work themselves. They can just move straight in and don’t have to worry about anything. This piece of mind is a valuable commodity that buyers are willing to pay for.